Its a nice phone to use but i had a problem with my and i couldn't repair it gain. 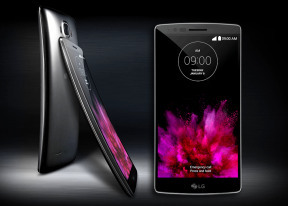 Is Lg g flex 2 phone 4G handset? Lg g flex 2 can support for LTE connectivity ??? I love my new LG Flex 2.I am the kind of person that has to get a new phone at least 2 times a year because I lost it or broke the screen or something. Last night my husband and I were on our 4 wheelers down in the bottoms because it had rained the previous 3 days. We were having a blast when I hit a very deep puddle...then felt something hit my leg and finally heard a SPLASH! I knew immediatley my phone had fell out of my pocket into a muddy watery grave. We searched for awhile but finally gave up at about 11:30 pm and went home. The next morning we took a shovel and other excavating tools and headed back to the mud. We had only looked for 5 minutes when my friend started hollering...he had found my phone. We got it home and dried it out. After being submersed for over 12 hours in the water and mud my LG Flex 2 works as good as it did when it was new! Display, speaker, camera perfect! We are 2 LG fans for life! Thank you LG...for the wonderful product you make,the LG Flex 2. Final decision , I'm going to buy it for just $280 . i think the image quality is better than the g3.. that is just my opinion. Wonderful technique is used to rotate the image by dragging!!! AnonD-79275, 28 Feb 2015Why on earth would you make a phone with removable back cover but non-removable battery?Why on earth too that ur asking that?......maybe if some people want to change the case..right? Anonymous, 24 Feb 2015LG is way more better than $amsung. Samsung Fanboys are just making the LG G Flex 2 worse. But... morefor real. I'm the only one who thinks that the camera image quality of the G Flex 2 is better than G3 ? AnonD-79275, 28 Feb 2015Why on earth would you make a phone with removable back cover but non-removable battery?To insert sim card and memory card. Why on earth would you make a phone with removable back cover but non-removable battery? LOL at UI video 0:21 LAG omG!?!?!? !